With the Orthodox Easter due in days, you will find many Romanian women busy cooking traditional foods for family and friends. Painted eggs, lamb dishes, and sweets such as pasca and cozonac – all these foods will be on the Romanians’ menu this Easter. 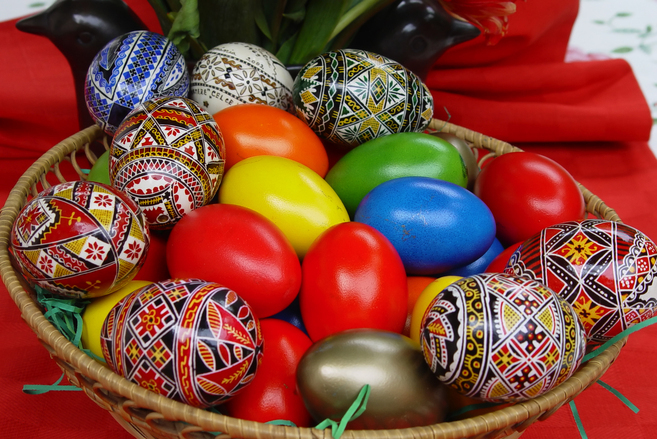 Although one of the most common foods in the world, the eggs become very special in Romania on Easter. The Easter eggs are hard-boiled eggs, colored in many colors such as red, blue, green, and yellow. In some parts of Romania, local artisans create complicated embroidery on the painted eggs, using wax and various colors and motifs. Then, the fun part comes: on Easter, one holds a hard-boiled egg and taps the egg of another participant with the intention to break it. The person who breaks the most eggs without breaking his own, wins the game. 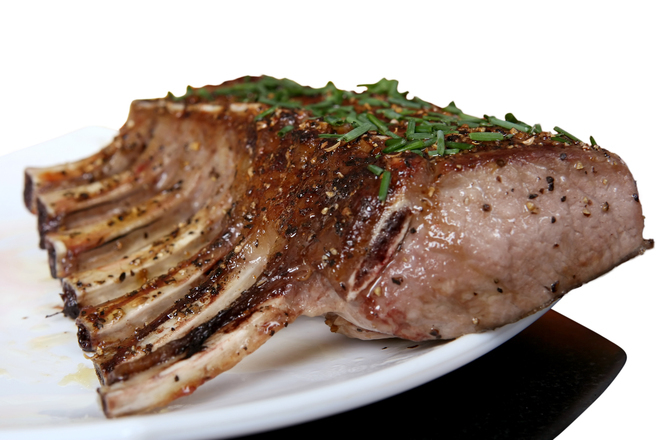 The lamb meat is the ‘star food’ in Romania on Easter, as it is customary to eat lamb on this special day. Romanians prepare several lamb dishes for Easter, but the ones most commonly made are lamb haggis (drob de miel in Romanian), lamb roast and soup. Find a recipe for lamb haggis here. 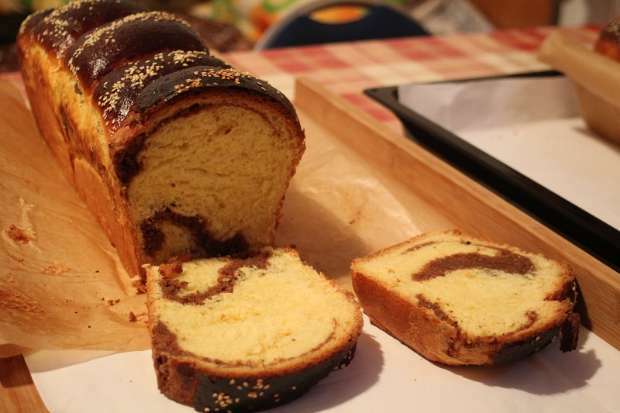 As everybody loves desert, pasca is one of the most common and loved Easter dishes in Romania. It is a delicious cheesecake, that mainly contains sweet cheese and raisins. Its name comes from Paste (Easter). Another special desert is cozonac. 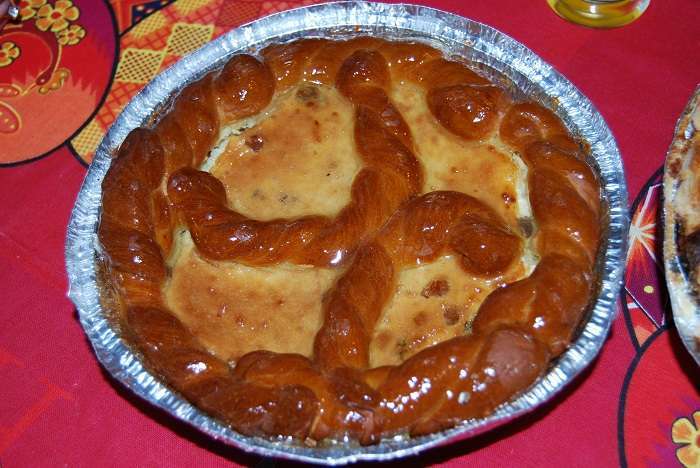 However, unlike pasca, the cozonac is not a desert cooked traditionally for Easter, as Romanians also make it for Christmas or other special occasions. The cozonac is a sweet bread with cocoa, nuts, raisins, and/or Turkish delight. Its shape is usually rectangular or round. Some Romanians also eat sarmale (minced meat in cabbage rolls) and boeuf salad (a combination of finely chopped beef or chicken with root vegetables, mayonnaise and pickles). Happy Easter to all those celebrating the Orthodox Easter!